My next Disney trip is coming up in a few weeks (mid-May) thanks to a random day off in my child’s school calendar. It’s going to be a trip of many firsts for our family. 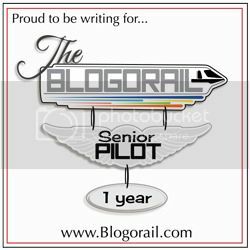 A lot of the firsts are because we, typically, travel in the fall and not the spring. It will give me a chance to experience some new things and give me a chance to blog about some new things at Disney as well. Today, I’m moving up the Walt Disney World resort food chain with the moderate resorts. 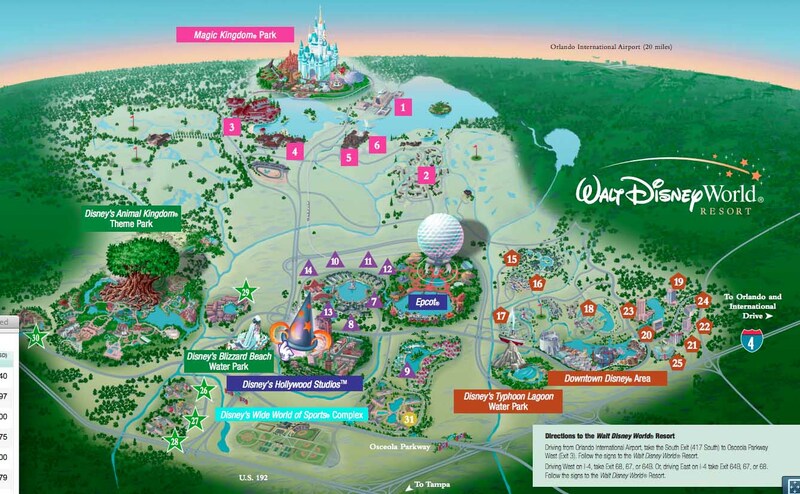 There are four moderate resorts: Caribbean Beach, Coronado Springs, Port Orleans, and the Fort Wilderness Cabins and Campground. In general, these resorts have rooms which are a little bit bigger than the value resorts. 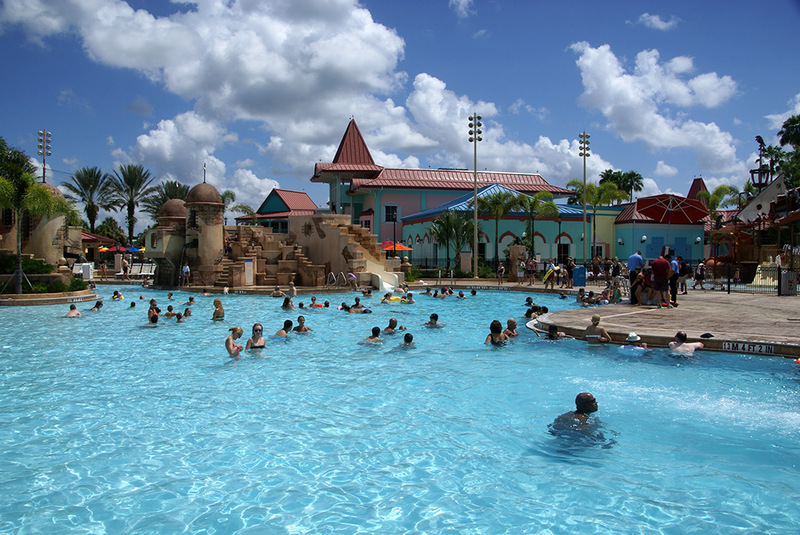 They also have more recreation on the resort property and some even have table-service dining options at the resort. Located between EPCOT and Hollywood Studios. The map, here, doesn’t lie. The resort is BIG. There are 33 buildings along the 42-acre Barefoot Bay Lake. The nice thing is buildings are only two-story high so you don’t have worry about a high-rise building blocking the view from the room. 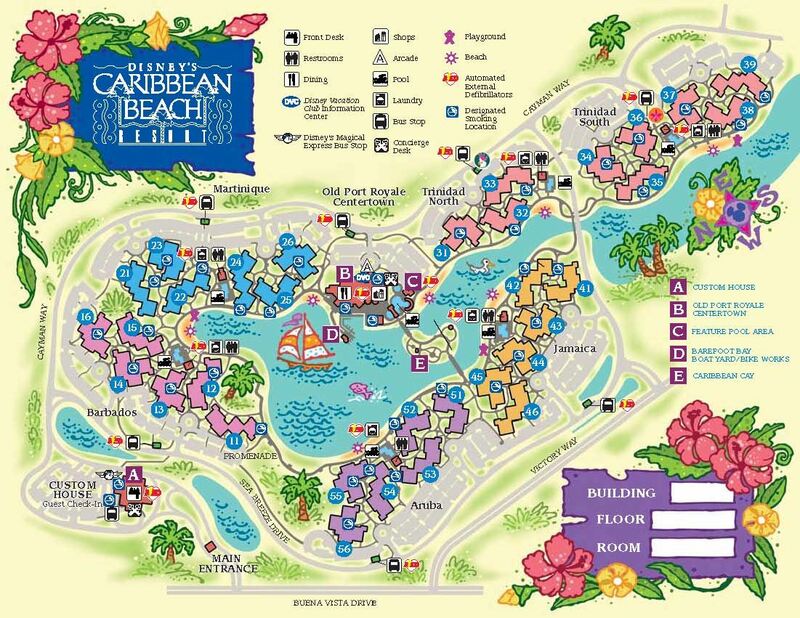 The 33 buildings are connected by a 1.4 mile walking trail just to give some perspective as to the size of the resort. Everything is centered on the Old Port Royale (also called Centertown). 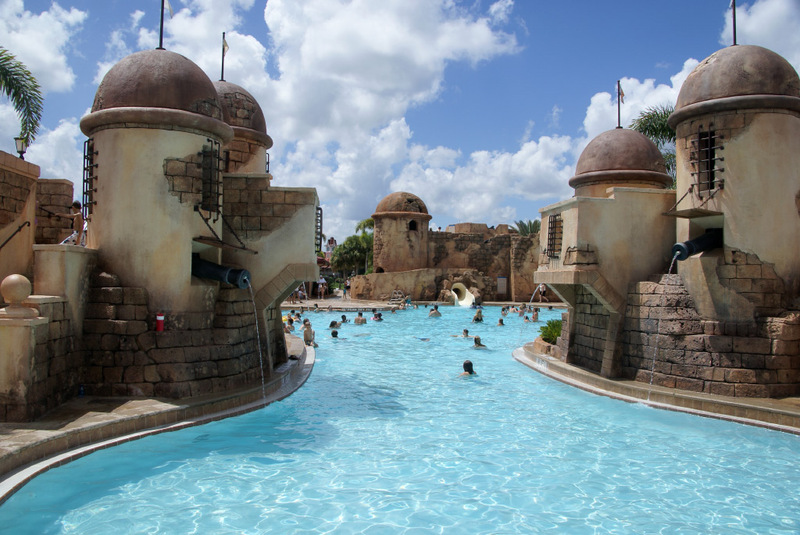 Guests will find the Market Street Food Court, Shutters, which is a table-service, sit-down restaurant, bicycle and boat rentals, the main Pirate-themed main pool.